The 2018-19 Pacific Junior Hockey League season concluded Sunday night with the Steelers pulling out a 5-4 O/T win in a mean nothing game for neither team in the standings. 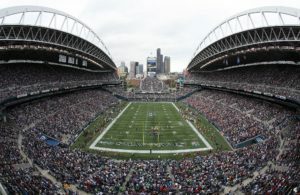 The final week of regular season play was not without concern and issues, which the league managed to deal with while not creating any issues for anyone team or the league itself. 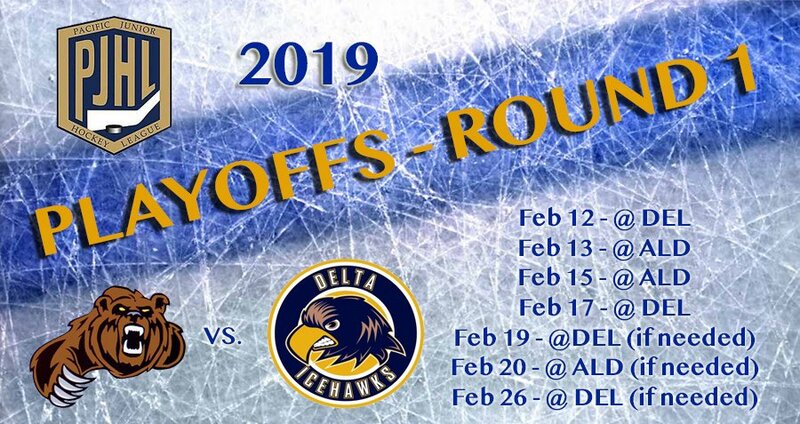 The week prior saw the Delta Ice Hawks 7:30 pm game official start at 9:15 due to the breakdown of the zamboni that forced four of Delta’s players to actually push the zamboni off the ice, which was quite the site to watch. 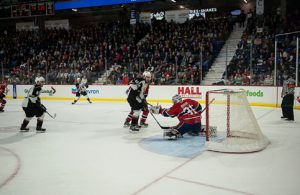 As if one concern wasn’t enough this past weekend saw Mission faced with a power issue forcing the game to a cancellation as well as the Sockeye’s game in Port Moody with major issues with the ice. Interesting that two of the league games were cancelled and the win given to both visiting teams, which realistically never affected the league standings for a playoff spot for a position. The league has adapted a new playoff format this season with the addition of the White Rock Whalers, so the top eight will advance. 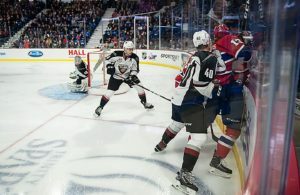 This alone is different from past seasons as in the past teams in each of the two conferences played against each, meaning that one played three and two played four and the two winners meeting in the conference final. From there each conference winner would play against each other to decide the league winner, who would advance to the Cyclone Taylor Championship, hosted this season by the VIJHL and played in Campbell River. A new and unique format will not see any of the top seeds play each other in the opening round as in the past, which saw some strong clubs eliminated from further play. The final placing for teams to advance this year came down to the final weekend that saw both the North Vancouver Wolfpack and the Delta Hawks who ended tied with 69 points. 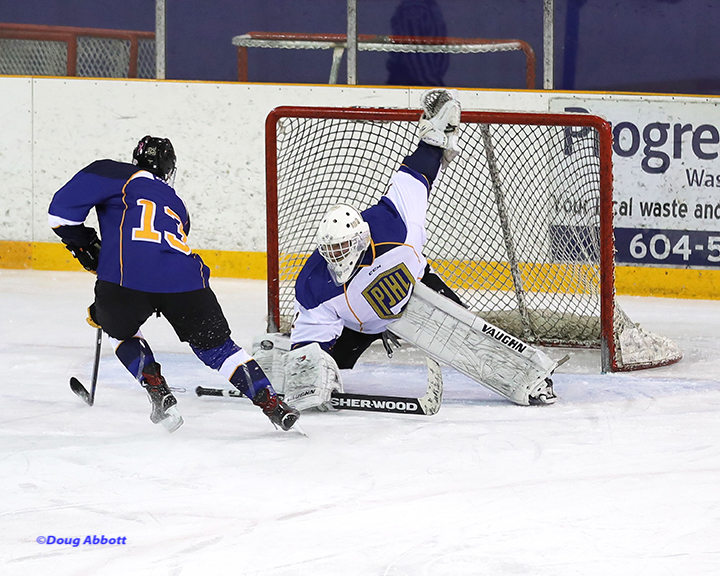 The Wolfpack grabbed first due to having more regular season wins (34) to the Delta Ice Hawks who finished with 32 wins through 44 games. 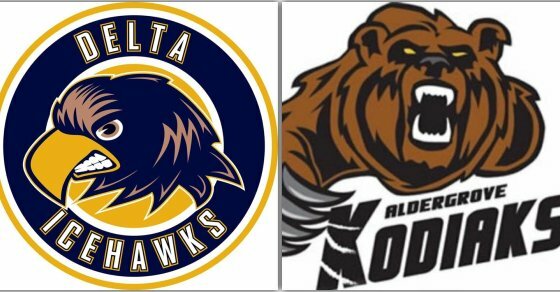 The first round of the PJHL playoffs start in Delta at the Ladner Leisure Centre as the the Ice Hawks host the Aldergrove Kodiaks with the face-off taking place at 7:35 pm. Other league match-ups in the first round has the North Vancouver Wolfpack take on the Ridge Meadows Flames with game one February 15th in Maple Ridge. The other league match-up has the Richmond Sockeyes host the Grandview Steelers (February 14th), while the Abbotsford Pilots face the Langley Trappers with game one February 15th at the MSA arena that sees all series a best of seven.